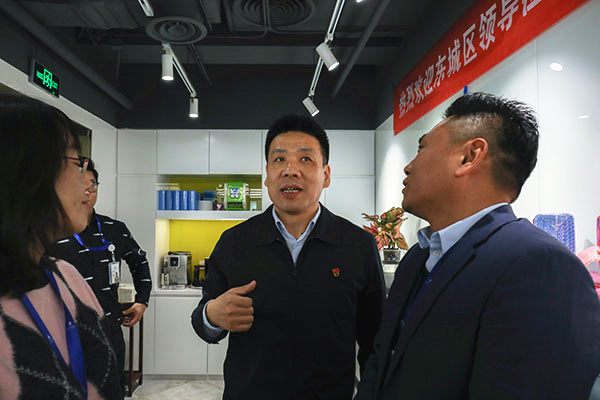 On 15th January, Member of the Standing Committee of Dongcheng District Committee of Beijing and China Minister of Organizational Department Wang Qingwang Visit our Beijing Headquater office and hold a leadership forum. District Commercial Committee Director Jin Zhou, Director of the Taxation Bureau Liu Naichang, Deputy Director of the Finance Bureau Li Junyao, Deputy Director of the Production Promotion Bureau Tang Yong and General Manager Ma Ji, Marketing Director Zhang Hongwei, Chief Financial Officer Ma Jinling attended the meeting. 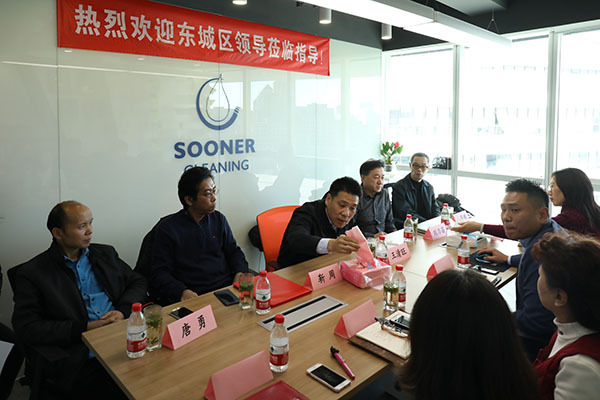 At the beginning of meeting, Soonercleaning’s General manager Ma Ji make a detail introduce and report of soonercleaning’s development history and achievement since establishment. Thanks to the strong support of the district government, soonercleaning grow up to be a industrial and commercial integration company. Beijing is capital of China, with the exclusive advantage in Policy,Talents,Infrastructure, has the best business environment than other China city. Soonercleaning treasure that much and will firmly support and actively respond the general and specific policies of our Party and state, make full use of the company's expertise in the field of non-woven fabrics, take the advantages of factories , encourage and develop innovation, contribute to career of transform ‘Made in china’ to ‘Made with wisdom’, build a trusted, reassuring non woven wipe brand, win worldwide recognition as Chinese enterprise. 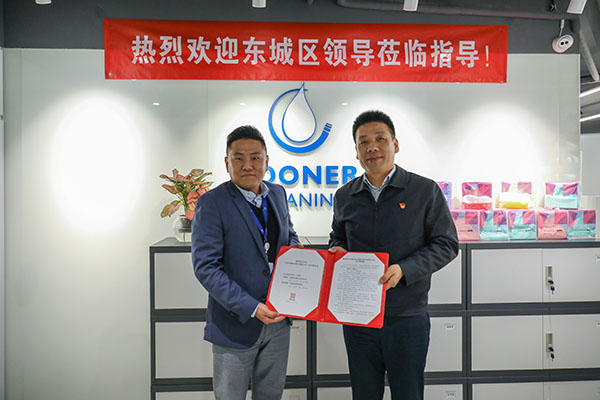 After that District mayor Mr.Wang high praised Soonercleaning’ s hard work spirit and development achievement, and enthusiastic about the future of soonercleaning and non woven fabric industry. 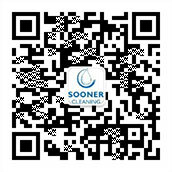 Also convey city and district’s government’s high concern about Soonercleaning’s development and requirement, promise to provides all-round support and assistance to the Growth Enterprise like soonerleaning's on Talent reserve, R&D and production, and Market development, and urged department concerned implement and solve demand claim from enterprise,and awarded ''Key service enterprises'' certificate to soonercleaning. 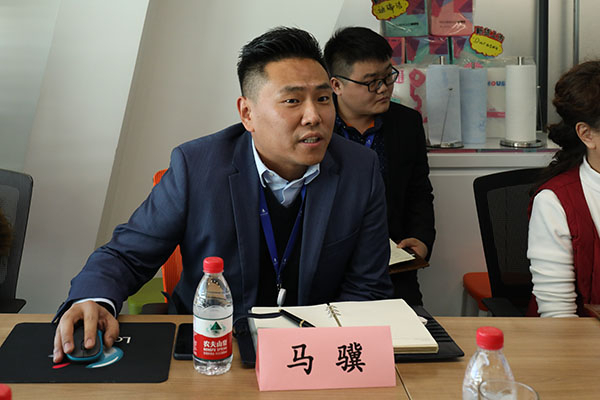 This forum arrived in time and provoked soonercleaningers’ unyielding spirits and confirmed our determination to strive harder for soonercleaning’s ''Chinese Dream''——Become the leader brand of non woven wipe in worldwide.